Being single is perceived differently by different individuals around the world. What you make of this time also makes a great impact on your next relationship. This is a time to re-discover you, value who you are as a person and believe that you deserve more than just to settle for anybody. 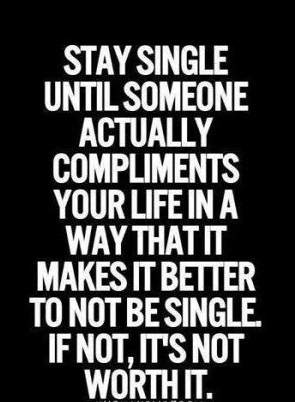 Some of us choose to be single while some become single as a result of a break-up; whatever the reason is, it is not a time for self pity. It should be a time to be happy and enjoy making yourself better. Inspire yourself with some quotes about being single so as to find the strength to enjoy the freedom. 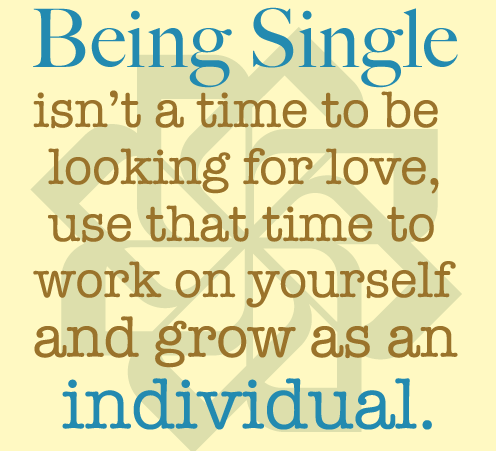 Being single is the time to become better, not being stress over finding love. 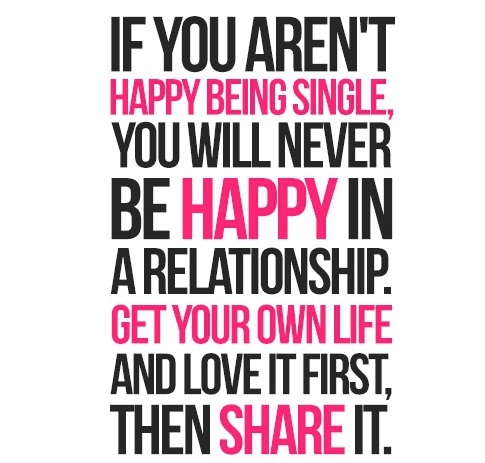 Happiness should be a priority, better be single and happy. 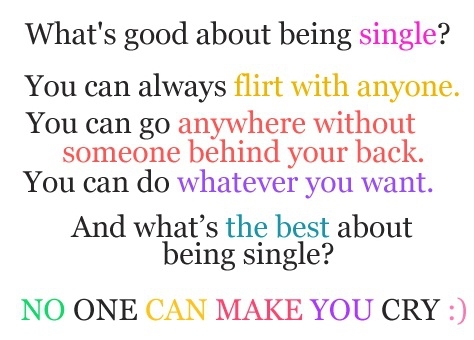 Being single is about being independent. It’s wiser to stay true to yourself rather than to commit to a lie. 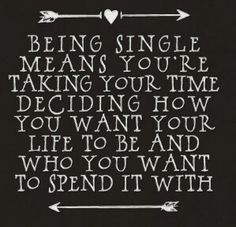 Being single gives you the chance to take control of your own life and stay in control. 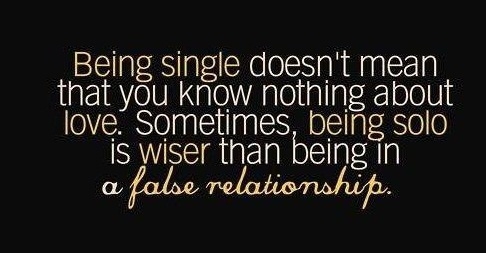 Being single basically means you are accountable to no one but yourself. You can’t love anyone before you love yourself. When you are single, you own everything; so you are richer. The freedom is greater when you are single. 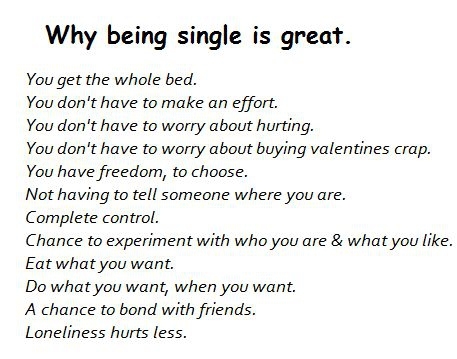 Being single is about not owing anyone any explanation. Some alone time is also a necessity. Hahaha……being single is not permanent. Your feelings are safer when you are single. Being single is great but, as humans we all appreciate being loved. Respect yourself enough to choose being single over a bad relationship. Stick to freedom until it’s worth it to let go of it. God always knows the right person for us, so wait for His time. 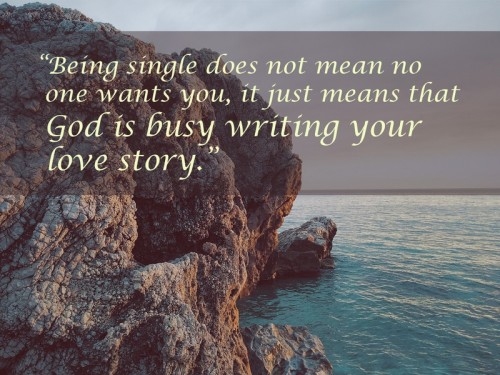 Quotes about being single inspire us to appreciate this period by loving ourselves more. The one who deserves your heart is out there, just believe. Server responsed at: 04/19/2019 11:02 p.m.